The Worldwide Developers Conference brings new opportunities and new threats for indie developers. If you’re lucky, Apple introduces an API that could enhance your app. If you’re unlucky, Apple launches a new feature that renders your app obsolete. One thing is certain: Whatever Apple announces at the annual conference will mean a lot more work for indie developers just to stay in the game. And since developers can’t charge for updates on the App Store, most of that work will go unrewarded. As the dust settles on WWDC 2015, I — like thousands of other developers — am reviewing the long task list that Craig Federighi, Apple’s SVP of software, dropped on us during his part of Monday’s keynote. The relentless pace of Apple’s innovation is fantastic for consumers, but it means developers must do a lot of work just to keep up. It is not enough to build an app and then sit back and watch the money roll in. You need to keep updating it to ensure it remains compatible with the latest iOS releases. 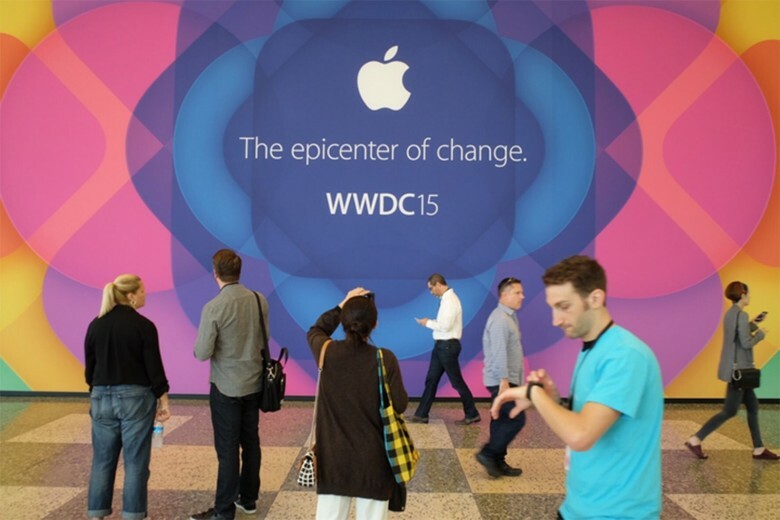 The more changes Apple announces during WWDC, the more work there is likely to be. For big developers, the cost of making these changes might not prove significant. But for indie developers with small teams and even smaller budgets, this can be quite a challenge. I develop an iPhone fitness app called Reps & Sets with my partner, Martin Algesten. It is more of a hobby project than a serious business, but we have devoted thousands of hours of our spare time to it over the past few years. A minor announcement in Apple’s keynote could result in hours of extra, unprofitable work for us. So, as the terrible karaoke in-jokes go on forever up onstage, we fret, waiting for the bomb to drop. In reality, I’ve never known any new feature of iOS to “just take minutes” to implement. On the contrary, it usually takes a great deal of time, requiring endless testing and bug-fixing to get it right. Our users will be expecting support as soon as the new version of iOS ships. Some even expect it sooner than that. We get e-mails asking us why we don’t yet support the latest developer’s beta. After all, it only takes “minutes” to add support for the new features. We’re still catching up from last year’s WWDC. Our next update will finally introduce HealthKit support — something our users have been asking for ever since the last WWDC keynote finished. Updates to iOS may give us a lot of work to do, but they also help us improve our app. The launch of iOS 7 in 2013, with its new user interface, provided us with an opportunity to refresh our design. The new look was not only popular with existing users. It was also noticed by Apple, which featured us in a “Designed for iOS 7” section of the App Store. This resulted in a lot of additional sales. There are no guarantees you will get featured by Apple simply for adopting new technologies from WWDC, though. It is always a gamble. With iOS 7 we got lucky. For indie app developers, riding the Apple juggernaut is a dangerous game. It can take you to amazing places, but it is all too easy to get knocked off and crushed under its wheels. Apple does a great deal to encourage and support developers. Tim Cook took time out during this year’s keynote to highlight their important contribution to the iOS platform with a short film called The App Effect. But the truth is that Apple also competes with developers. Evernote, Flipboard and Spotify are probably not feeling the love right now, thanks to Apple’s improved Notes app, News app and Apple Music. Big developers like these might be able to withstand competition from Apple. But for indie developers, it could easily wipe us out. Fortunately for us, Apple didn’t decide to muscle in on gym logging at WWDC, so our app lives to fight for another year. I realize that no app developer has a right to survive. Apple is perfectly entitled to launch new products as it sees fit. I actually think Apple should add weightlifting to their fitness portfolio — and if that renders Reps & Sets obsolete, then so be it. We knew the risks when we got into the game. App developers can’t hope to compete with Apple head-on. iOS and OS X are Apple’s platforms, after all. Instead, we have to look for the gaps — spaces that Apple does not currently occupy. Opportunities are still there, especially for indie developers whose low overheads allow them to turn a profit on niche markets. But with each WWDC, Apple continues to expand its product offerings. While the work required from developers just to stay in the game increases, the gaps for us to occupy get smaller and smaller.